These high-flying water-based bubbles are non-staining and nontoxic. 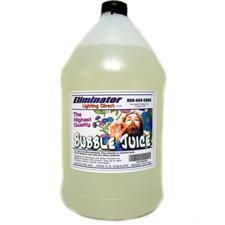 Creates hundreds of bubbles per minute Portable and powerful - Battery Powered or Wall Powered. Create a festive party atmosphere with hundreds of bubbles floating around the room. 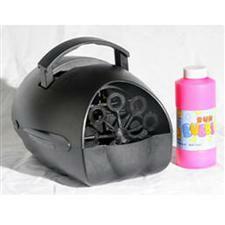 Our bubble machines feature a built-in fan which blows the bubbles up and away! All of our bubble machines feature a compact case and built-in carrying handle making it ideal for mobile DJs and club use. Our snow machines produce a mist of extremely fine foam particles that when dispersed by the internal fan look and fall just like real snow. Even close-up it's hard to tell the difference. Let it snow, let it snow, let it snow!!!! Create a wintery effect with a blizzard of simulated snowflakes that can be regulated via the remote control with output control knob. Great special effect for dance floors, theaters, plays, movies, etc. The snow machine will consume approx 1 gallon of fluid for every 2 hours of continuous operation on high output. The snow flakes are non-toxic thus safe for all humans, plants and animals (consumption not suggested). The Discovery Channel has used the snow machines from Star Light and Magic for their shows. Also used for the grand opening of "Narnia: the Lion, the Witch and the Wardrobe". 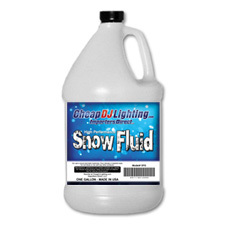 Snow fluid machines make an artificial falling snow and works well indoors or outdoors. 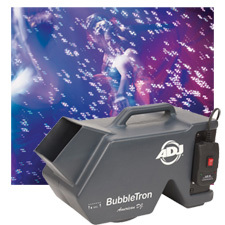 For many DJs, their DJ gear is not complete without at least one DJ bubble machine or snow making machine! 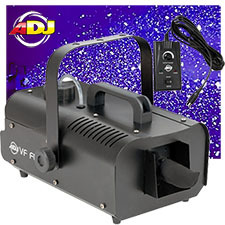 On this page of our website, you'll find the snow flake machine or bubble blowing machine you've been wanting for the fun, final touch to your shows. We've got the American DJ bubble juice that works in our bubble machine, and the American DJ bubble machine to use it in. We've also got the artificial snow making machine (or mini snow machine) as well as the artificial snow making fluid you need to make fake snow -- GREAT fake snow! 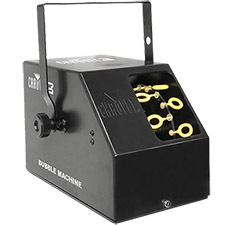 When a home snow machine just won't do, step up to the effects machines that the pros demand! Thanks for visiting our website today. We look forward to serving you.